A HearthStone stove is more than just a practical way to warm your home. It’s often the centerpiece of a room as well - something that family and friends will gather around. 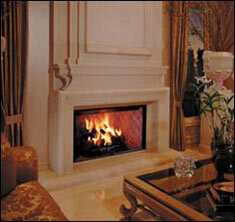 So, we make sure that every HearthStone stove has the hand-crafted beauty of a piece of fine furniture. 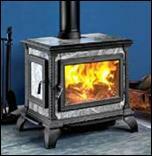 HearthStone stoves are made in Vermont with Yankee ingenuity and practicality. They’re made one at a time by individual craftsmen. There’s no assembly line. They’re built by people who take great pride in their work, and understand the need for both reliability and functionality - and the desire for a special presentation within your home. Each soapstone woodstove is hand-signed by the person who made it. So, whatever your sense of style - rustic, elegant, casual or formal - or your lifestyle - outdoor, active, indoor and relaxed at home, a HearthStone can fit beautifully into your decor. More than 25 Years of Manufacturing! 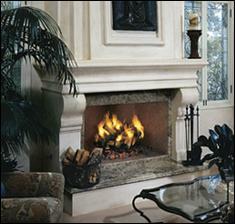 With the ongoing success of Harman Stove Company and in celebration of it's 20th Anniversary, Dane then extended his goals, in 1999, and invented Harman Built Fireplaces (HBF). 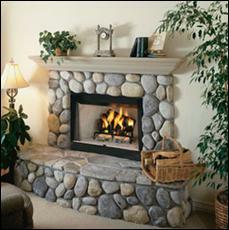 The Serenity Series Collection, Harman's premiere gas fireplace line, is the pinnacle of fireplace technology and design. Complete with a large viewing area, remote control operation, realistic log set and the sturdiest construction in the industry, these zero clearance, direct vent fireplaces not only have exceptional looks, but also produce exceptional heat. 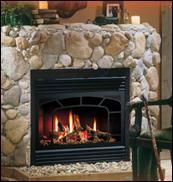 Taking the heating industry lead once again in 2002, Dane introduced the "Harman Iron" line of cast iron stoves. The Accentra' pellet stove and the Oakwood wood burning stove are the first in a line of cast iron heating appliances that for the homeowner are the pinnacle of fit, form, and finish.By now you've discovered that Dane isn't someone to sit back and rest on his laurels. 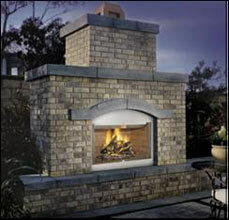 In 2003 "and" 2004 his stoves won the National Hearth Products Association trade show Vesta awards. Sponsored and presented by Hearth & Home Magazine the Vesta Awards are prestigious and highly coveted awards throughout the hearth industry.